Looking for The Best Gaming Laptop Under Rs 75000 in India? These days, the best gaming laptops under Rs 75000 are entirely different from what they were just a decade ago. There are ultra-thin portable solutions using Nvidia MaxQ technology. And, now that Intel has released a wide range of 8th-generation Coffee Lake processors for laptops, including the Core i9-8950HK, there are no limits on what the best gaming laptops can do. But as slim a gaming laptop is as expensive it should be so, in this article you are not going to see any laptop which comes with Core i9 or coupled with Nvidia MaxQ be in reality. So, whether you’re looking for a laptop that can handle work just as well as gaming or you want a hulking gaming behemoth, we have the recommendations you’re looking for. And, because we’ve tested, reviewed and ranked all the gaming laptops within, you can be confident that you’ll find the best gaming laptop under Rs 75000 for your desires right here on this list. Little bit Big & Bulky in Design. Intel Core i5 Processor but in some exception, you can also get i7. Specific Graphics Card for Gaming like Geforce 1050 Ti, 1050M & more. At least 8GB of RAM memory. Windows 10 Operating System 64-Bit. So, If you think this is enough for what you pay then you can check out our List of Top 5 Best Gaming Laptop under Rs 75000 to 80000 in India which you can buy online & offline. 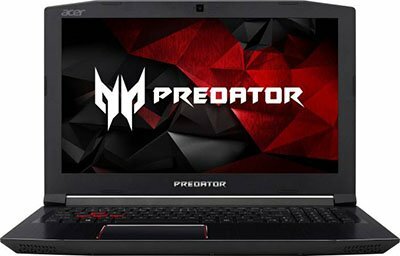 Acer Predator Series is very popular among the gamers out there and Acer Helios 300 G3-572 is packed with great hardware which ensures that this machine is a killer machine for gamers. Inside this, you got Intel Core 7th Gen i7 7700HQ Processor coupled with 8GB of DDR4 RAM and 4GB DDR5 Nvidia GTX 1050 Ti Graphics card. For Fast Boot up they also Added 128GB SSD inside coupled with 1TB of HDD. In this laptop you got Windows 10 Home pre-installed not like MSI Laptop we listed below. Without any doubt, this is the Best Gaming Laptop Under Rs 75000 you can buy in India. That is why we ranked this on No.1 Place on our list. Below we listed some of the main specifications. MSI is known for making quality gaming hardware and MSI PE62 7RE-2024XIN is the most rated gaming laptop in India under Rs. 75000 in India with all the latest hardware like Intel Core 7th Gen i7 7700HQ Processor coupled with 8GB of DDR4 RAM and 4GB Nvidia GTX 1050 Ti Graphics card. For Fast Boot up they also Added 128GB SSD inside coupled with 1TB of HDD. MSI also take care of battery life and they put 6Cell Battery inside this lappy for an uninterrupted gaming experience on the go. Without any doubt, this is one of the Best Gaming Laptop Under Rs 75000 you can buy in India. That is why we ranked this on No.2 Place on our list. Below we listed some of the main specifications. Asus is getting really agressive in the laptop market. 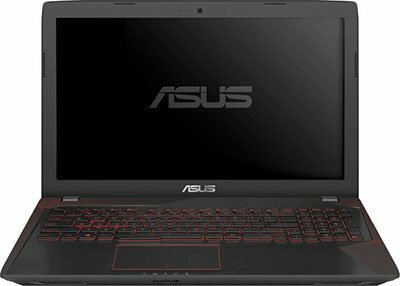 And there asus FX553VD offer great value for the price you pay inside this you got. Below we listed some of the main specifications. 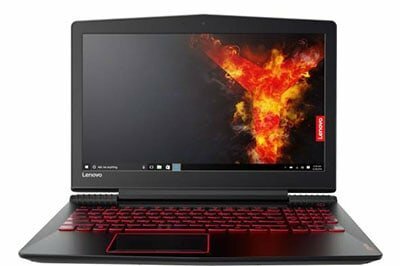 Lenovo Legion take your gaming experience to the next level with the Lenovo Legion Core i5 7th Gen gaming laptop. Powered by 8 GB of DDR4 RAM, this laptop makes multitasking a breeze. A Full HD display, coupled with Harman speakers, acts as an icing on the cake. All the main Specification of this machine is listed Below. 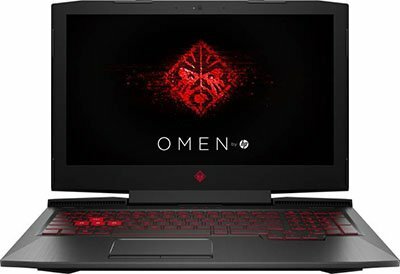 HP Omen is not the best gaming machine which you can buy under Rs. 75000 but it definatly one of the most stylish looking machine by HP. Hp Omen has Nvidia Geforce GTX 1050 2GB Graphics Card, a 15.6 inch Anti glare Display powered by Intel Core i5 7300HQ coupled with 8GB of RAM. Its not as powerful as our top 3 pick are but the main focus point of this machine is the design and build quality. 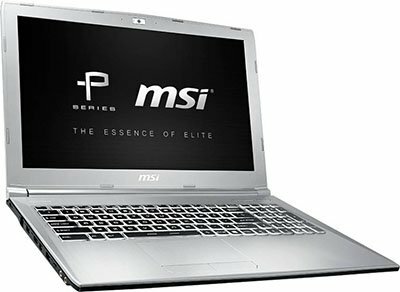 So, Guys that is our list of top 50 Best Gaming Laptop under Rs 75000 in India which you can buy and If you still confused which one to choose feel free to ask in the comments section below we will definitely help you out and if you think we forget to name any good gaming laptop please let us know. If you like our work then share it on social media website like Facebook, Twitter. Have a Nice Day.